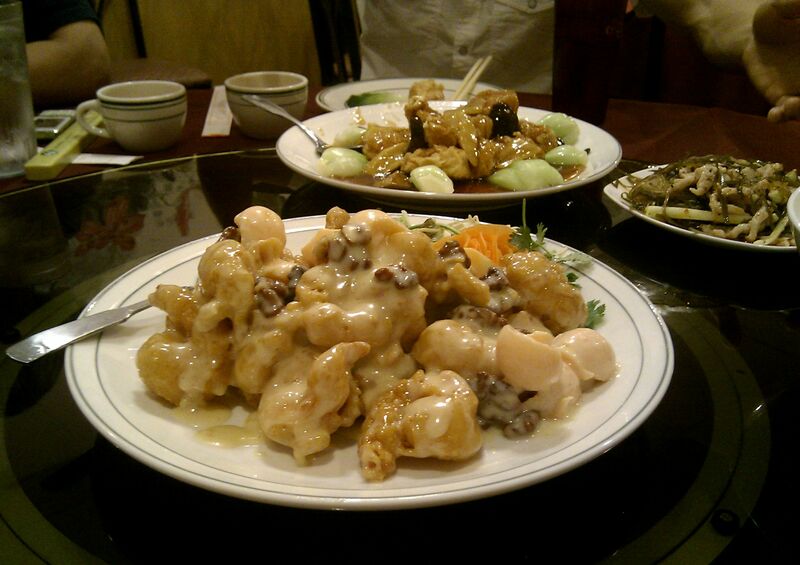 Finally made it to Gourmet Kingdom in Carrboro the other day for one of my good friends’ birthday lunch. I had been looking forward to trying out this place since everyone compares it to 35 Chinese Restaurant so much. 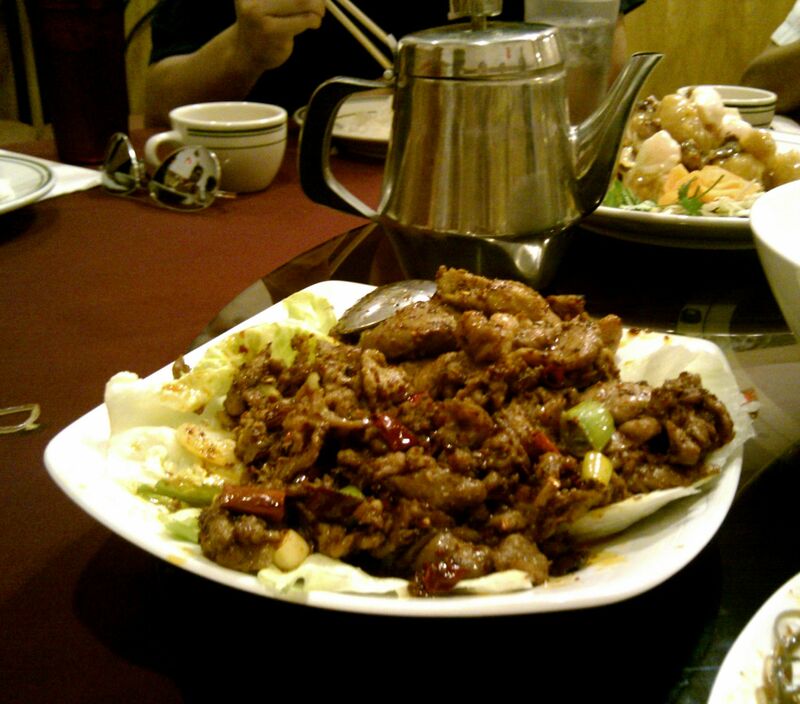 涼拌三丝 ‘liangban sansi’ (Pork, vegetable, and cellophane noodle) – it was okay. 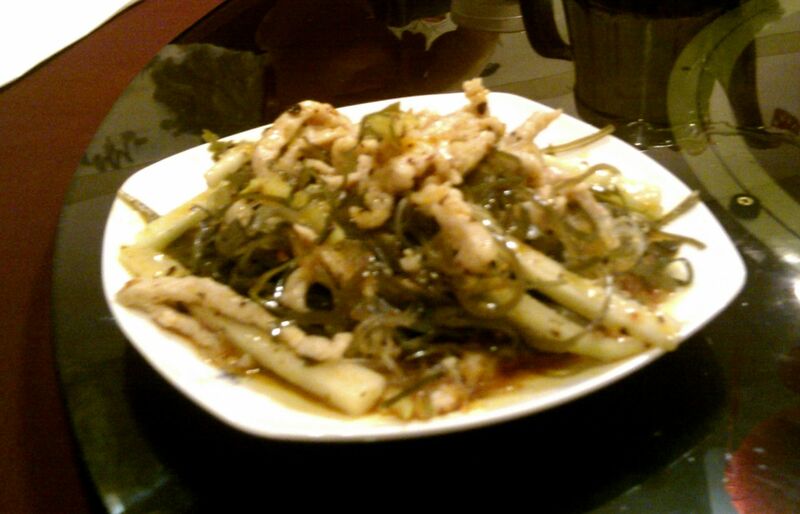 I like seaweed salad or jellyfish salad much more.. so I didn’t have much of this dish. 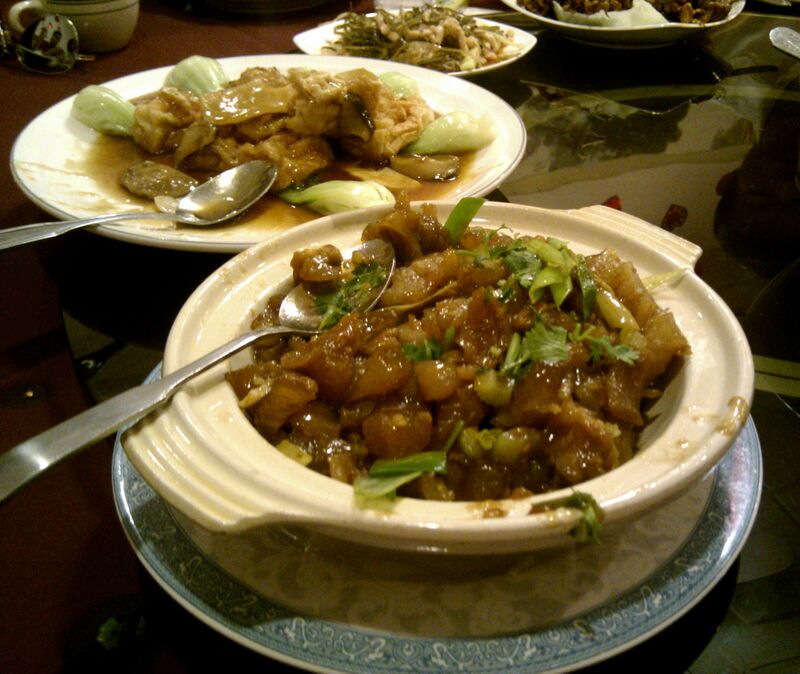 And of course, 夫妻肺片 ‘fuqi feipian’ (Beef & tripe medley) – the flavoring and sauce of this dish is much better at Gourmet Kingdom than at 35 – GK wins here! 核桃大蝦 ‘hetao daxia’ (Pecan shrimp) – this is, of course, a rather Americanized dish (fried shrimp with some pecans tossed in), but I must say.. I really liked it! The sweet mayonnaise sauce was a little too heavy for me, but otherwise, it held everything together very well. 白菜扣肉 ‘baicai kourou‘ (Steam pork with Chinese cabbage) – I was really, really looking forward to this dish since ‘kourou’ is pork belly.. and you should know by now how much I love pork belly. Unfortunately, it did not live up to my expectations as it was entirely too salty. I put the blame on the meicai – plum dried vegetables – in the dish. Their saltiness overpowered everything, and overall it was just slightly disappointing. 孜然羊肉 ‘ziran yangrou’ (Cumin sliced lamb) – Another dish that I’ve also had at 35.. and I was surprised by how tame the spiciness level is here at Gourmet Kingdom. I remember at 35, I thought their cumin lamb (or maybe it was cumin beef, something comparable) was spicy enough to make me feel the heat, but here… just meh. There was plenty of flavor from the cumin and spices, but the spiciness was really lacking. 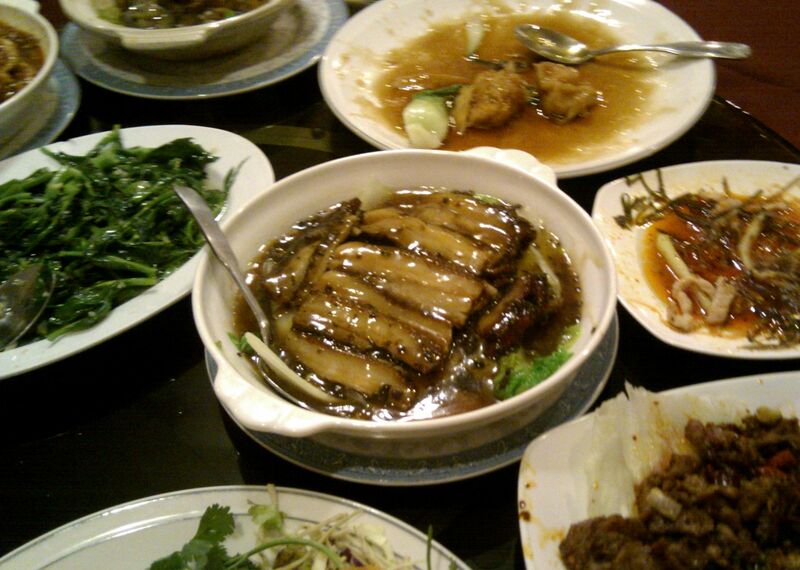 家常牛筋煲 ‘jiachang niujin bao’ (Homestyle beef tendon in hot pot) – This was one of my favorites. Beef tendon is difficult to manage because if you don’t cook it long enough, it’s still super chewy, but if overcook it, everything sort of falls apart. I think they did a pretty good job of finding the right balance and getting just the right texture, and the flavor is also quite nice as well. 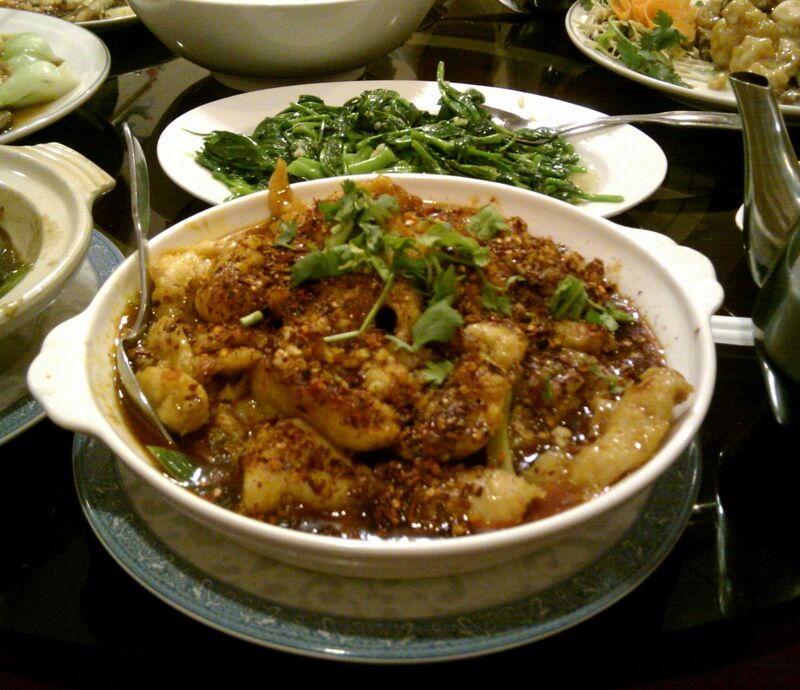 水煮魚片 ‘shuizhu yupian’ (Boiled fish fillet in Szechuan sauce) – A classic Szechuan dish that unfortunately I’ve never really liked.. perhaps because I’ve never a had well-prepared ‘shuizhu’ fish. Basically the sauce is just a bowl of chili oil, and the fish fillet and vegetables just soak in the oil. Not very appealing to me. Perhaps there’s an ideal ‘serving time’ that I’ve also never grasped? Not sure. But there is also a difference between the ‘shuizhu’ fish here and at 35.. for one thing, it’s not spicy at GK at all. 35 is much more spicy, and actually more flavorful, which I attribute to the peppercorns that 35 used. Overall, I found that a lot of the dishes and flavor from Gourmet Kingdom are quite similar to 35, so they must be trying pretty hard to imitate each other’s styles. Although many people recommended GK over 35, I’d probably still go to 35 because their dishes are spicier (or maybe because someone at my table secretly told the server to make everything less spicy?). Then again, perhaps I’m making my judgments too early – I hope I’ll have another chance to go to GK before leaving NC. 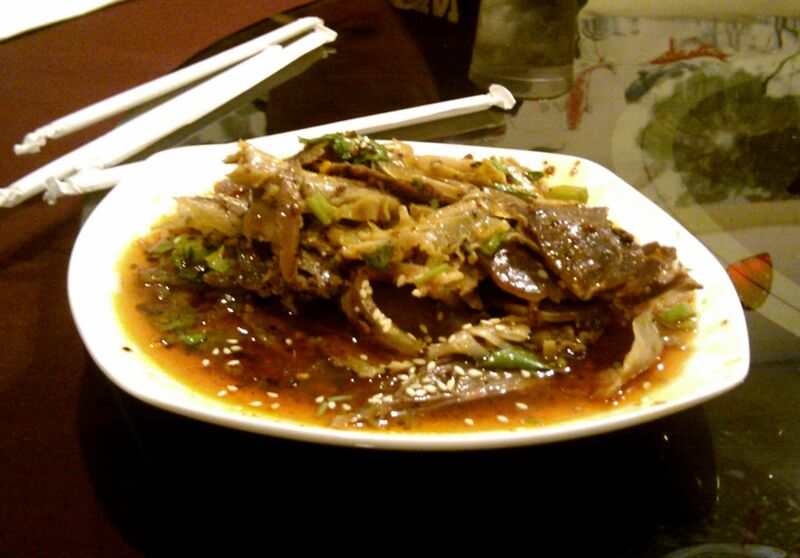 You should check out China Village on Solano Ave. Their 水煮魚 and 孜然羊肉 are pretty good.